Four Ukrainian nationals, including member of the Verkhovna Rada Volodymyr Parasiuk, have been arrested in absentia in Russia for attacking Russian diplomatic missions in 2014-2016 and put on the international wanted list, according to Russian news agency TASS. "The investigation has established that Ukrainian citizens Volodymyr Romantsev, Oleksiy Bakay and Volodymyr Nazarenko were actively involved in the willful damage of the property of the Russian diplomatic mission, while the latter also took part in desecrating Russia's national flag," Russian Investigative Committee Spokesperson Svetlana Petrenko said on Wednesday, TASS reported. 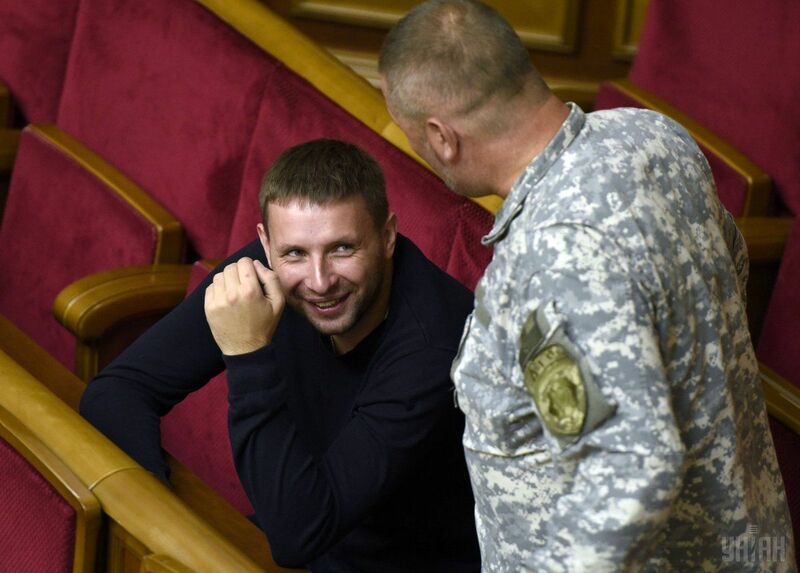 Petrenko added that member of Ukraine's Verkhovna Rada Volodymyr Parasiuk was involved in the attack on the Russian Consulate General in Lviv in March 2016 and the abuse of Russia's national flag. "The above-mentioned individuals have been put on the international wanted list and, at the request of investigators, the court has imposed in absentia a pre-trial restraint on them in the form of custody," Petrenko said. Read alsoRussia arrests turncoat Crimea soldier on charges of 'spying' for Ukrainian intel - KHPGAccording to Petrenko, on the basis of the evidence collected by investigators, including footage from open sources, and the results of forensic examinations, a decision was made to involve the four individuals as defendants for committing a crime under Part 2 of Section 360 of Russia's Criminal Code ("Attack on an institution that enjoys international protection committed with a view to complicating international relations"). Nazarenko and Parasiuk are also charged under Section 329 of Russia's Criminal Code ("Abuse of Russia's national flag"). Petrenko noted that the Ukrainian law enforcement agencies "have been conducting their own investigations over the attacks on the Russian diplomatic missions for a long time, during which no one has been charged with a criminal offense so far." "Despite the fact that Ukraine actually refused to comply with the requests for legal assistance from Russian investigators, the Investigative Committee is pushing ahead with its efforts to identify and bring to justice all the individuals who took part in the above-mentioned attacks on the Russian diplomatic missions abroad," she stressed.